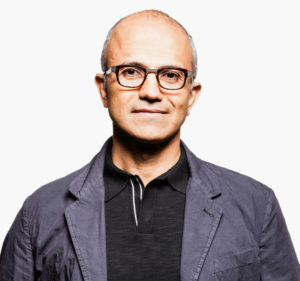 San Francisco–Microsoft paid its Indian-born CEO Satya Nadella $17.7 million — which is down three per cent from last year — during the company’s most recent fiscal year, a media report said on Tuesday. “The decline was the result of a modest drop in Nadella’s stock-based compensation, which totalled $12 million during the year ended June 30. His base salary of $1.2 million was unchanged from the prior year,” The Seattle Times reported. Nadella and the four other executives whose compensation was detailed in the company’s annual proxy statement made at least 100 per cent of their cash bonuses, which the company attributed to Microsoft’s business performance and returns to shareholders. Kevin Turner, who left Microsoft as Chief Operating Officer in July, was paid $12.9 million during the fiscal year — up six per cent from 2015 — and was the second-highest paid executive officer. “In response to concerns about subjective standards leading to inflated paychecks, Microsoft has been adding financial- and performance-based metrics to its executive-compensation formulas,” the report added.